Research suggests that the most effective factor in preventing youth substance abuse is the involvement and awareness of a parent/guardian and members of the larger community. 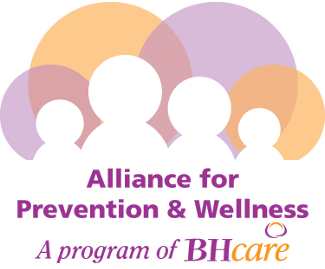 The Alliance for Prevention & Wellness (APW) has always understood this and has designed programs to work WITH parents, community members, and young people to educate them about substance abuse issues, suicide prevention, and mental health promotion, utilizing evidence based effective prevention strategies. We provide customizable workshops for parents, businesses, schools, educators and community organizations. Many of our trainings and/or workshops offer CEU opportunities including CCB (CT Certification Board), CHES (Certified Health Educator Specialist). APW staff have been trained to implement various curriculums such as, but not limited to, Second Step, Project Alert, and LifeSkills, MHFA, TIPS, CONNECT, and QPR. To customize a workshop call (203) 736-8566. Mental health problems – such as depression, anxiety, impulse control and misuse of alcohol and other drugs – are shockingly common in the United States. In fact, more than one in four American adults will have a mental health problem in a year. The National Council on Community Behavioral Healthcare has begun working with communities throughout the nation, including BHcare to implement Mental Health First Aid to arm the public with skills to help individuals who are developing a mental health problem or experiencing a mental health crisis. The clinical and qualitative evidence behind the program demonstrates that it helps the public better identify, understand and respond to signs of mental illness, thus improving outcomes for individuals experiencing these illnesses. Visit our Mental Health First Aid page to learn more. APW staff are trained and experienced in providing QPR-Question, Persuade, Refer Training. The QPR Institute describes QPR as “3 simple steps that anyone can learn to help save a life from suicide. Just as people trained in CPR and the Heimlich Maneuver help save thousands of lives each year, people trained in QPR learn how to recognize the warning signs of a suicide crisis and how to question, persuade, and refer someone to help. Each year thousands of Americans, like you, are saying “Yes” to saving the life of a friend, colleague, sibling, or neighbor. QPR can be learned in our Gatekeeper course in as little as one hour. VSAAC staff are also trained in the CONNECT Model. CONNECT is a public health, socio-ecological approach that looks at the individual, family, community and society. While a suicide is an act of an individual, it occurs in the context of and impacts that person’s relationships, community and the larger society and culture. CONNECT includes prevention and intervention and postvention (promoting healing and reducing risk after a suicide). These trainings are available to groups and communities. Participants will learn about the most commonly abused substances as well as newer synthetic drugs such as bath salts, spice, and K2. Presenters will discuss common substances with new methods of use and ingestion, as well as the new emerging drugs, how they are manufactured, sold and readily available. Workshop topics covered include but not limited to synthetic drugs, prescription & over the counter drugs, alcohol, marijuana, and more. Finally, presenters will discuss the growing public health and safety threat of these substances and the challenges they pose to law enforcement, educators, health care providers, parents, and communities. The CT Alliance for Drug Endangered Children, established in October of 2009, is a coalition of professionals assisting local communities to effectively and efficiently identify and protect children endangered by caregivers who produce, distribute, or use illegal drugs. The Alliance exists to serve the professional community that serves Connecticut’s drug endangered children (DEC). A drug endangered child is identified by the alliance as a child from birth to eighteen years of age who lives in, is exposed to, or found in places where controlled substances are sold, manufactured, processed or used. Drug endangered children are at increased risk of injury or death, physical and sexual abuse, and nutritional, educational, supervisory and emotional neglect. These children are also at risk of perpetuating the cycle of drug and child abuse. The ultimate goal of the alliance is to help professionals break the cycle of drug and child abuse in their communities. For information on community DEC training contact APW at 203-736-8566. Tips is an alcohol intervention program that teaches liquor permittees and servers how to recognize signs of intoxication, prevent alcohol sales to minors, and intervene with patrons who are already intoxicated. APW’s TIPS certified trainers work with local liquor permittees to ensure compliance with the law, encourage knowledge of the penalties and fines associated with underage drinking, and to train staff in ways to prevent disaster. At the same time, VSAAC works with local law enforcement to help enforce regulations regarding underage sales, ensure that vendors are complying with the law, and much more. Click here to learn more about this valuable training program.